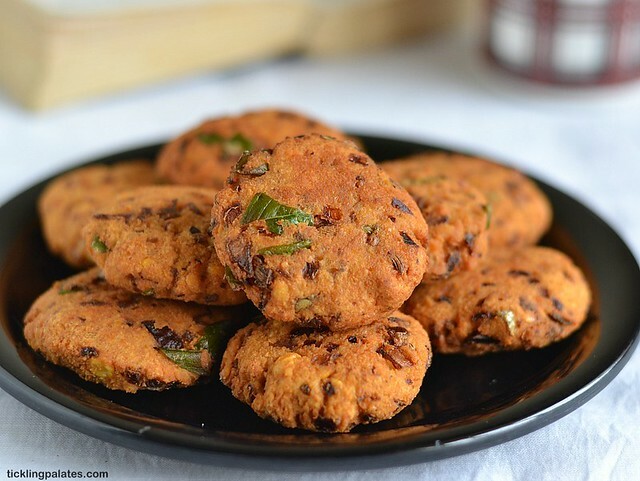 Palakottai Vadai recipe – They taste more like palakottai masala vadai. 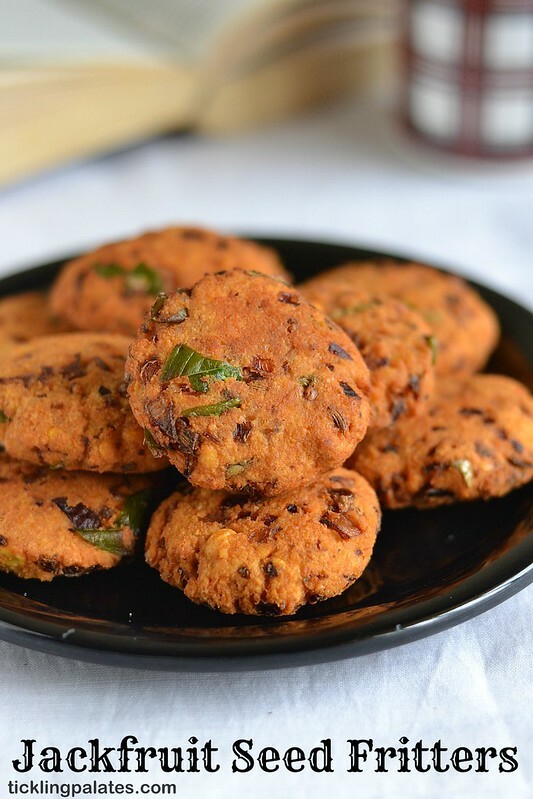 These Jackfruit seed fritters are so aromatic, crisp and makes a perfect tea time snack. Right from childhood, I’ve always loved palakottai and try to use it a lot during the jack fruit season. I always keep a watch for palakottai packet whenever I go for veggie shopping. 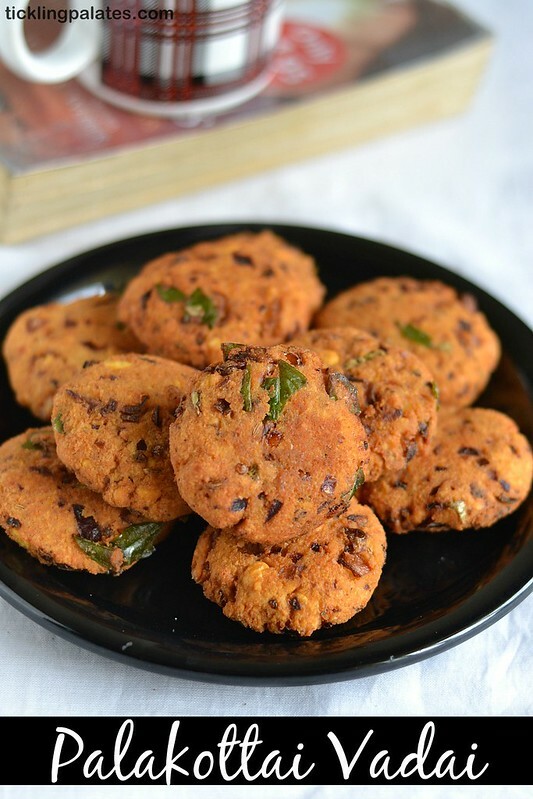 It tastes very much like the masala vadai but slightly differs texture wise and I’m sure you will love the nutty taste of this vadai as well. This vadai was first introduced to us in Trichy by our Muslim friends, As my Grandparents lived in an integrated community comprising both Christians and Muslims, we got to taste the best vegetarian recipes of both the religions. This is made by the Muslims there who came and settled from Panrutti which is known for cashew nuts and Jackfruit trees. They mostly make this for Iftar to break the routine of serving medhu vada during Ramzan period and share these with friends and neighbors who happens to be vegetarians. Just make sure that you cook the vadais over evenly hot oil as it will darken quickly and get burnt when cooked in very hot oil. I serve these palakottai vadai both as a side dish to go with rice and warm the left overs in the microwave to enjoy during the evening time as a snack along with a hot cup of tea. Other than this palakottai vadai I also use jackfruit seeds to make Palakottai poriyal and Palakottai Poricha Kootu which tastes equally good. An aromatic and crisp tea time snack using Palakottai. Wash and soak channa dal in water for one hour. Cut the palakottai into 2. Peel the outer thin white skin. Pressure cook palakottai in enough water with 2 pinch salt till soft. I cooked for 3 whistles. Drain water completely and transfer to mixer jar or food processor. To this, add ginger piece and grind it to a smooth paste without adding any water and transfer to a mixing bowl. Drain and grind the channa dal to a smooth paste without adding any water and transfer to the mixing bowl. You can first grind the palakottai and then grind the chana dal in the same jar. Chop the onions, green chili, curry leaves finely and add it to the ground pastes. Add fennel seeds, salt, mix well and make small lemon sized balls and keep it ready. Heat oil in a deep frying pan and when it is hot enough, take each ball, flatten slightly between both your palms and gently drop into the hot oil. Cook 3-4 vadais at a time and do not fill the whole pan with the fritters. Cook till golden brown and drain on a kitchen paper. Do not grind the both palakottai and chana dal together. The palakottai’s texture is a bit sticky when compared to chana dal texture. So grind both separately. You can also add 2 to 3 garlic while grinding dal. Vadas are the rich snack for a lazy evening and usung jackfruit is so new to me! I am big fan of Jack fruit seeds.. This is totally new recipe.. Love to try.. This is new to me, we make so many varieties with jackfruit seeds but making vada out of it…is totally new to me…bookmarked!! I tired it today. it was yummy ..
Glad you liked it Thamil. Keep visiting. The dish looks like an amazing evening snack! I am going to try it out. Jack fruit seeds vada is so new. I had visit several blogs for different recipes, but yours is unique athenticate recipes. This jackfruit seeds recipes are awesome. These recipes are gave me surprise. Now I’m digging ur blog for more interesting recipes ? And I just love this as one of the ‘vdai’ fan? Hi Radhika, At what stage do we add Whole dry red chilies to this recipe – while grinding palakottai or channa dhal? Hi Prema, You can add it while grinding either chana dal or palakottai. It won’t make any difference as you are mix it all together anyway. Can I use pottukadalai instead of kadala parippu. 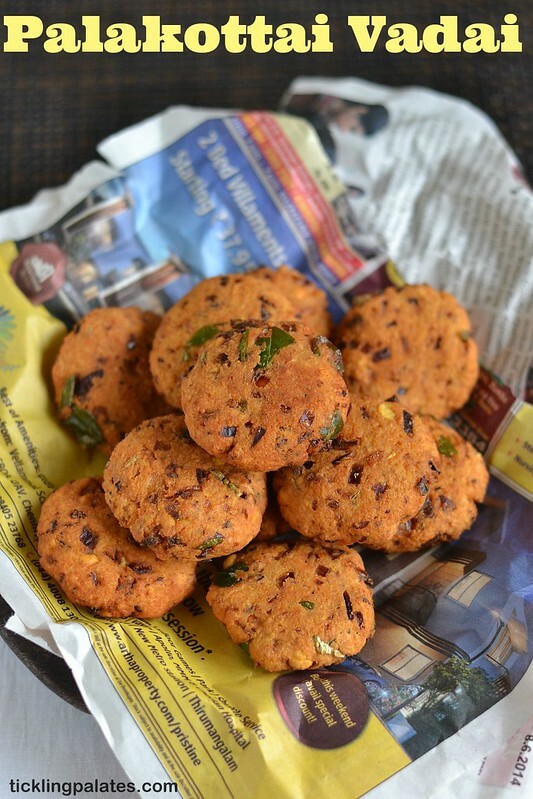 You can use pottukadalai but they will suit well if you are going to make them as cutlets. But since you are deep frying the vadais, they will burn easily. So it is better to use kadalai paruppu.